The fields are cleaned and pruned. Each one of those vines will produce a grape with a higher sugar content and an even bolder profile. We can't wait to see what wonderful fruit these vines will produce. 2019 is here and G & W is back! take in our vineyard as the vines come to life. As the ground begins to thaw and the cold of Winter gives way to warmth and comfort of a Spring day, we at G & W Winery have been hard at work throughout the Winter months to prepare for the most exciting year yet! Beginning the first weekend in May, we will be open to the public again this year. Please stop on by and take home some old favorites, like our Merlot which is full bodied and bolder than ever, or our signature Bordeaux "Gemini", which can't be found anywhere else in the world! 2019 brings big things for G & W Winery as well. We have expanded our offerings. For our white wine varieties we will have Chardonnay, Pinot Grigio, and for the first time in full production, Riesling. Our red wine varieties will include Merlot, Cabernet Franc, Cabernet Savignon, and our signature Bordeux "Gemini". We could not be more excited for the opening of G & W this year. We look forward to seeing many familiar faces return and we hope to see a large number of new faces as well. We can't wait to see what 2019 has in store and hope see you all at the vineyard real soon. 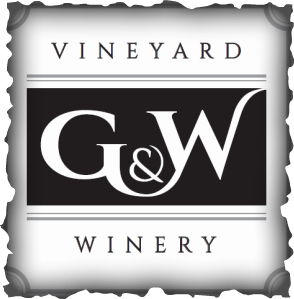 Since the production of G & W Winery will be small for every vintage, we are offering a waiting list to ensure that you will not miss out on your chance to have Cape May's finest wines. We welcome you to G & W Winery. Although signing up for our waiting list does not offer access to purchase the wine at this time, it does provide you with the opportunity to be one of the first to purchase our wine, from our first bottle. Names move from the waiting list onto the active list on a first come first serve basis. Thank you for your interest in our wines. Note: If your address is outside of the United States, please select 'IT - International' as your state in the form below and also choose the country. To be added to our exclusive pre-order request list, click here. Check us out on The Definitive Guide to Wine Tasting in New Jersey!